Support the Frolics! 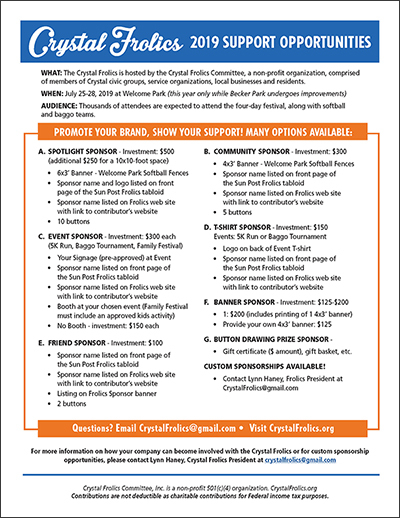 For 2019 sponsorship opportunities, download our sponsor form or contact Lynn Haney, President, at crystalfrolics@gmail.com. Credit card payments now available!